While Watson has won five times to Faldo's three, the Englishman has actually been the more consistent. On a further 16 occasions he finished inside the top 20, compared to eight for Watson. He has missed 10 cuts to Watson's 11 but all of Faldo's have come since 1999. 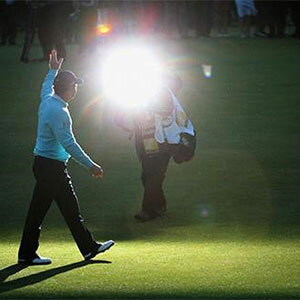 The countdown to Watson's emotional farewell began months ago when the 65-year-old contacted the R&A's outgoing chief executive, Peter Dawson, to plead for one final exemption and the chance to say goodbye at St Andrews. It continued with a special visit across the Atlantic to St Andrews in May to oblige his blue-chip sponsors and conduct a raft of media interviews. He prepared for the Open by playing a full schedule of Champions Tour events. So we are still none the wiser really. When Faldo, the champion golfer of the year in 1987, 90 and 92, holed a putt for an unlikely birdie on the 17th, he raised his arms in mock celebration. Anybody else would have graciously accepted the crowd's warm applause.